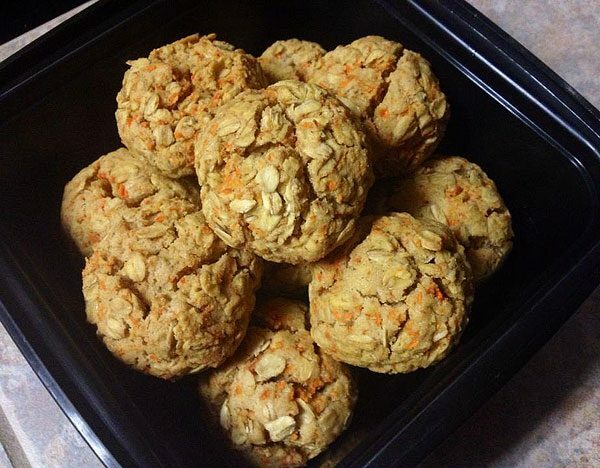 Carrot cake flavored oatmeal cookies meet energy balls for the perfect outcome! 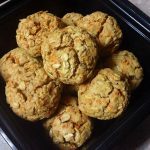 I’m a huge fan of the no-bake oat energy balls craze, but there’s still something about oatmeal cookies! I decided to combine both together, using a carrot cake oatmeal cookie as my inspiration. The outcome was a dense and filling ‘cookie’ with a great punch of flavor. 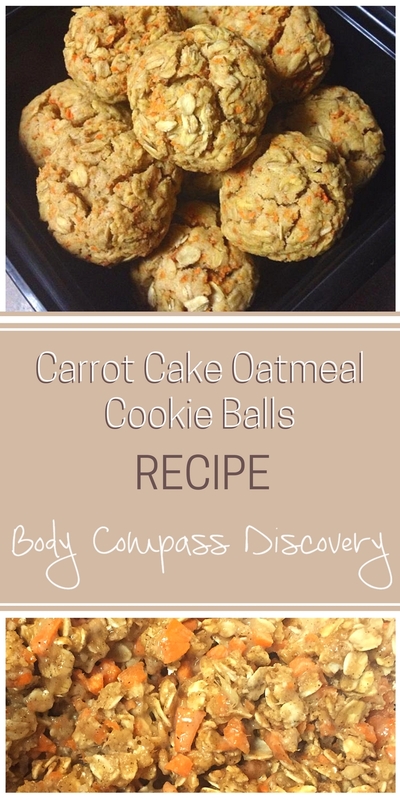 These carrot cake oatmeal cookie balls are good for indulging in any time of the day! Start by dicing up carrots and ginger root. 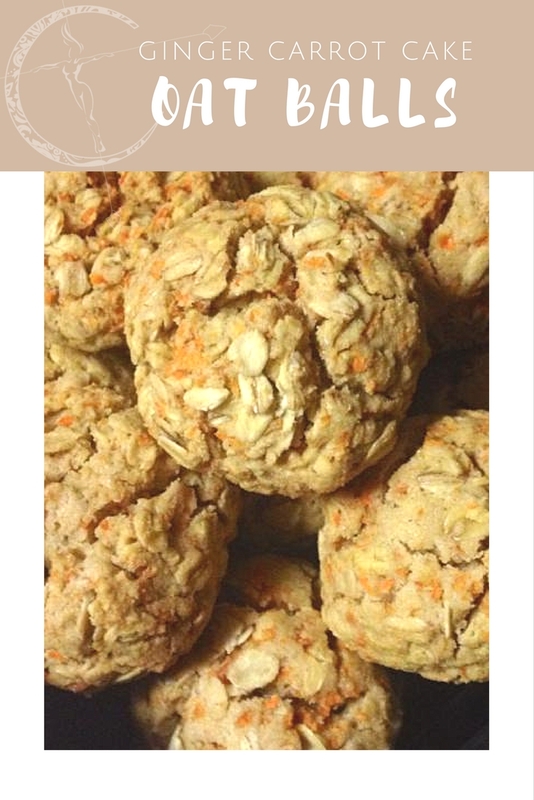 You can use ginger powder if you prefer, but since these are already chunky cookies with the carrots and oats I wanted to use fresh! Combine in a bowl with the oats and sugar. Add in the honey, vanilla, baking soda, cinnamon, egg and coconut oil. Stir everything, then slowly mix in the flour. I use gluten-free flour when I bake, but you can use your flour of choice! Once the dough is ready place it in the fridge for about 15 minutes. Remove the dough from the fridge and preheat the oven to 325. 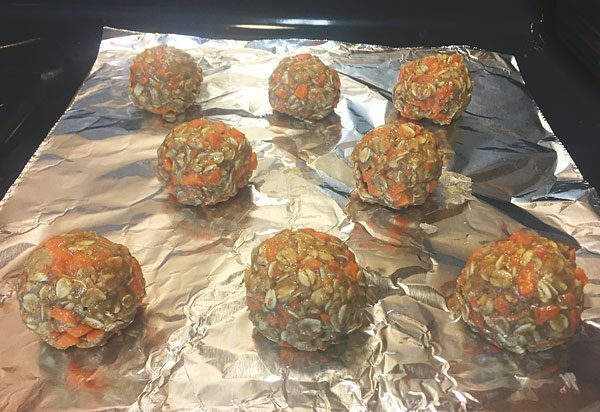 Roll into balls (a little bigger than an inch in diameter) and place on a baking sheet (mine was sprayed with non-stick coconut oil). Bake for 15 minutes, then remove from heat and let cool. Store in an air tight container to keep what you don’t eat right away. I chose to take one for breakfast with my smoothie every morning for a week! Dice the carrots and ginger. 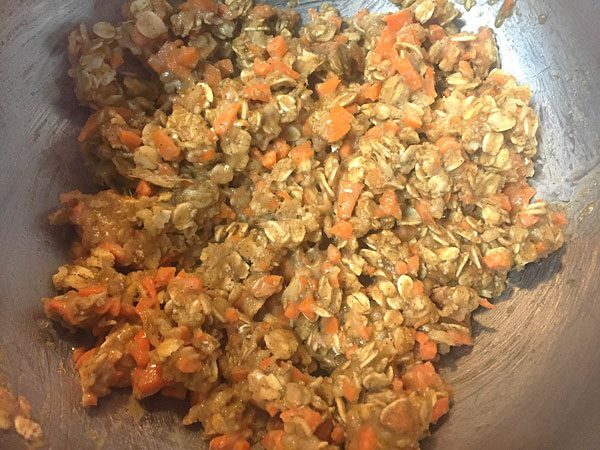 Combine in a bowl with the sugar and oats. Add in the honey, vanilla, baking soda, cinnamon, egg and coconut oil. Stir everything, then slowly mix in the flour. Chill the dough for about 15 minutes prior to prepping for the oven. When ready, roll into balls and place on a cooking sheet. Bake at 325 for 15 minutes. Remove from heat and let cool completely. Store in an air tight container. I personally used a gluten-free baking flour for mine! The best way I can describe these is that they are more like a scone than a cookie…. yet in the form of energy balls. Trust me, it works! Grab one for a quick breakfast, a fulfilling snack or a healthy treat! 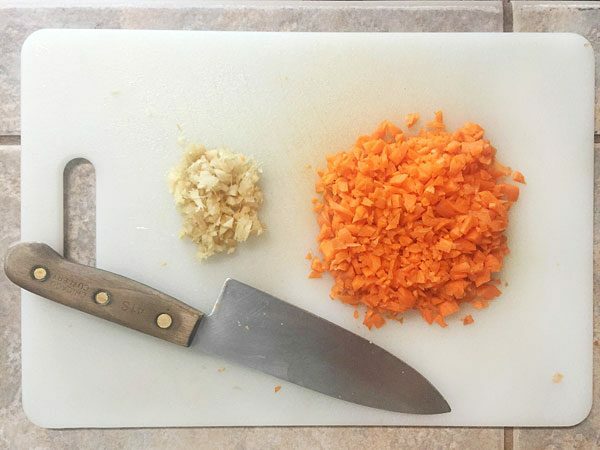 I suggest using a food processor to finely chop the carrots and ginger quickly. The one I use at home is Ninja brand.